Welcome to Tim Reynolds Plumbing, Heating and Gas! We offer a wide range of services from the installation of high efficiency boilers to the servicing and maintenance of existing systems. We can also provide competitively priced plumbing services, water softeners, underfloor heating, smart controls and bathrooms. Regardless of the type of work we are carrying out, your property is always well protected and looked after. For your peace of mind, the engineers and tradesmen we use are all highly qualified, competent and experienced in their respective fields of expertise. Among the qualifications they hold include Gas Safe registration, NICEIC registration and WaterSafe qualification. As well as this, we are approved installers with some of the most reputable boiler manufacturers out there, including Glowworm and Vaillant. Because of this, we are able to offer extended warranties on select boilers. We take pride in being a friendly, reliable and trustworthy company that deliver on any promises made. These values help ensure that the level of our workmanship and customer service is very high. We carry out all work while trying to keep any disruption to the customer at a minimum, all while maintaining a high standard of workmanship. Because of all of this, we are able to maintain a good reputation and relationships with our clients. Please do not hesitate to get in touch for a free quotation, design service or for free professional advice. Offering our plumbing, heating and gas services throughout the surrounding area including nearby Ringwood, Bournemouth, Poole and Christchurch. We offer a full range of services including boiler installation, powerflushing, water softeners, underfloor heating, boiler servicing, smart controls, bathrooms and landlord gas safety certificates. At Tim Reynolds Plumbing, Heating and Gas, we only use qualified engineers and tradesmen. Among them, their qualifications include Gas Safe registration, NICEIC registration and WaterSafe. 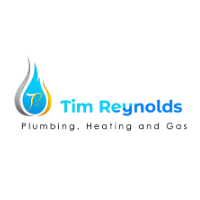 I’m Tim Reynolds is the owner of Tim Reynolds Plumbing, Heating and Gas. I have been in the plumbing and heating industry for over 16 years, since leaving school. I care greatly bout my quality of work, reputation and happiness of my customers. Before starting Tim Reynolds Plumbing, Heating and Gas, I worked for a largish local firm for 8 years, there I gained a lot of knowledge from installing boilers to bathrooms and many things in between. I am a family man with a baby son who is currently 11 months old, I enjoy working hard to provide for my family. I strive to offer great value service and to turn up when I say I will, do a good job and always charge what I have quoted, generally without any extras! 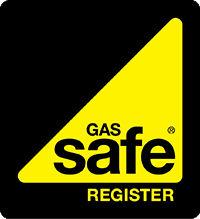 I am Gas Safe registered (formerly Corgi) as well as Plumbing and Heating NVQ3, Unvented Hot water cylinders and water regulations (WaterSafe) Qualified. Also I am a Manufacturer approved install for great trusted brands, such as; Vaillant, Glow-Worm, Stuart Turner, Harvey water softeners and Uponor Underfloor heating products. This enables me to offer a full range of Plumbing and Heating services within your house.